In the world of fashion, trends in clothing influence trends for interior design. Drawing its inspiration from the elegant lines, layers, and fabrics of a tailored suit, the menswear look is sleek and sophisticated. With patterns, textures, and colors borrowed from men’s clothing, it appeals to admirers of a male aesthetic as well as those who prefer a clean, classic look. Fabrics now being used on upholstered furnishings mirror classic menswear looks. Pinstripes are a staple of men’s fashion, and will dress up a sofa or chair with clean lines. The pattern is subtle, and easy to mix with others. Stripes in general are a good backdrop for a masculine room, particularly in wallpaper or curtains. Plaid has a long association with decorating masculine rooms. Large-scale tartan-like plaids can give a rustic feel to a décor. Smaller, refined plaids in sophisticated color combinations add comfort to more formal rooms. Since they’re so versatile across styles, plaids and other checkered prints are a useful choice for upholstery. A plaid sofa can tie together the color palette for an entire room and has the added advantage of hiding soil. “Correlates” are small-scale patterns, often geometric, on silky fabrics with subtle color combinations. These understated design elements serve the same function as neckwear or pocket squares and can add polish to a room. Herringbone is a popular pattern often used in menswear. This V-shaped pattern, originally used in twill weave fabrics, has migrated to other surfaces. It can take your flooring to the next level, showcasing the arrangement in tiles, bricks, or hardwood. Houndstooth, another staple of men’s suiting, can be small scale and subtle or bold and graphic. A large-scale houndstooth area rug makes a vibrant focal point. Designing your space is like layering your outfit. 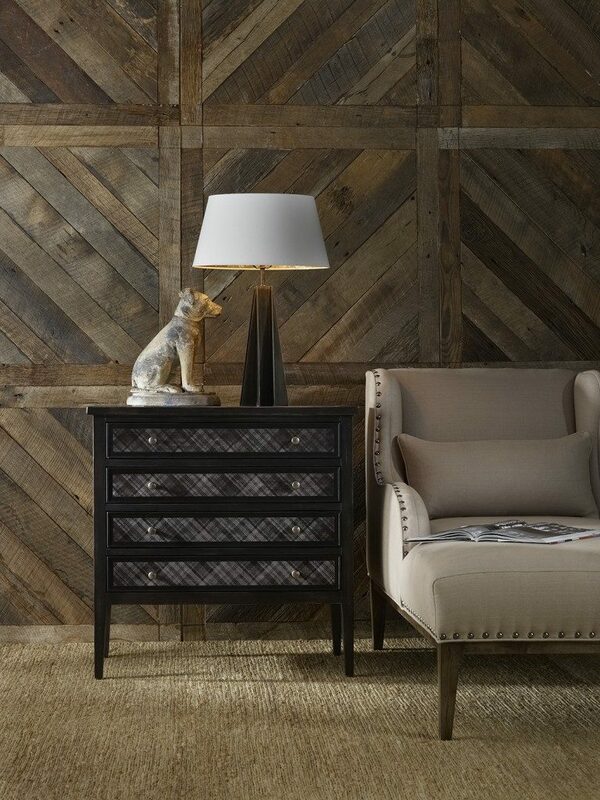 Textures will enhance your space with a masculine aesthetic. Materials like flannel, leather, and wool tend to lend a manly vibe. 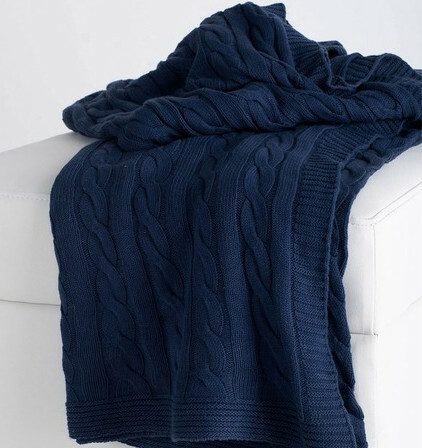 As thick and cozy as a favorite sweater, a cable knit throw brings an added layer of comfort to your bed or leather sofa. Natural materials like jute, burlap, wood, and wool provide contrast that keep designs from being too feminine. Menswear tends toward neutrals, earth tones, and dark blues – a soothing color palette appropriate for any room of the house. 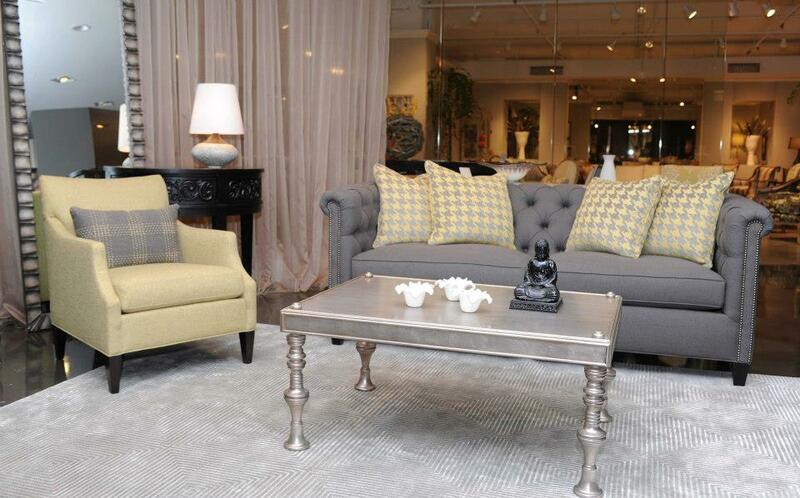 In fashion and furniture, neutrals are always a key tool because they usually work well together. Try a combination of rich espresso brown with caramel and ivory or a palette of grays. Dark leathers and dark rub-through finishes create a rich, warm atmosphere. As with men’s clothing, try to stick to one accent color to make your statement. An advantage of masculine design is that it’s usually minimal, and therefore timeless in style. The “less is more” approach results in a clean, modern look. In men’s fashion, creating a successful look is all in the details. If you’re decorating your man cave, looking to bring a masculine influence to your room, or if you’re a dedicated fan of men’s fashion, this style is tailored for you. Trends come and go, but classic design elements will always be in fashion.